Roldo Bartimole is a long-time Cleveland-based journalist. After several years working for the Cleveland Plain Dealer, Bartimole started his own newsletter, called Point of View in 1968. He’s also worked for the Wall Street Journal and written for the New York Times, and the Nation. He currently writes a column for the website Have Coffee Will Write. He’s been a long-time critic of Cleveland politicians and mainstream journalists, particularly when it comes to their role in the promotion and development of taxpayer-financed stadiums and arenas. Editor and Publisher called Bartimole “Cleveland’s most famous and iconoclastic media critic” after he was inducted into the Cleveland Journalism Hall of Fame. In 1991, he was honored with the Joe A. Callaway Award for Civic Courage for his reporting. As a youngster, Bartimole was a bat boy for a semi-pro baseball team and became a diehard fan of the Brooklyn Dodgers and Jackie Robinson. He was the sports editor of the Northeastern University school paper before taking sports journalism jobs with the Boston Globe and Bridgeport Herald. Bartimole was recently interviewed by League of Fans’ Sports Policy Director, Ken Reed. 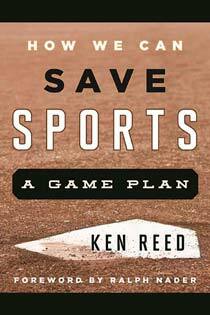 Reed: What do you think is the root cause of all the publicly-financed stadium/arena schemes we see in this country? Bartimole: It is difficult for me to speak of other cities but I suspect the reasoning and pressure for new major league sports facilities are similar to Cleveland’s. The institutions – chambers of commerce, foundations, special committees – form a powerful unit to propose civic “needs”. These “needs” are clearly always seen as positive, community-benefiting and civic-minded interests by the usually supine news media. The information providers – newspapers, television and radio – invariably act as cheerleaders for these efforts. Most often they take as reliable the pitch from such civic interests (who they are used to dealing with and believe to be honest brokers, not self-interested as they usually are). This combination of institutions and information providers typically makes it almost impossible for the political leaders to buck such interests and say no. It’s difficult to fight all these interests and the news media’s highly effective support propaganda. Politicians typically see — or are forced to see — such public investment as necessary. Little real concern is given to the actual public benefits versus public costs. And typically, the taxes chosen to finance these projects are sharply regressive. Reed: Is there anyway to stop politicians from handing over taxpayer money to wealthy pro sports owners in the form of revenue-generating sports palaces and other perks like land and infrastructure improvements, forgone real estate taxes, etc.? Bartimole: I guess if I really knew the answer to that Cleveland and Cuyahoga County would not have invested easily more than one billion dollars and given up all property taxes in perpetuity to construct its three major league sports facilities. The original public funding scheme for Cleveland’s baseball and basketball facilities was known as the Gateway project. The 1990 tax – a so-called sin tax on cigarettes, beer and liquor — still exists today. City voters actually voted to reject the tax but suburban voters slightly outvoted Cleveland residents and the tax was imposed. It raised $240-million over the first 15 years, followed by two extensions that extended the tax for 30 more years and is expected to raise in total nearly another $400 million. A number of other taxes — parking, admission, car rental and others — also help pay bondholders and some of these taxes extend into 2034. This massive funding apparently didn’t satisfy Cleveland Cavaliers owner Dan Gilbert, owner of Quicken Loans, which is the name of the arena. He sought another $140 million, promising to pay half for an expansion of the arena. However, here is where citizens can and did intervene. A new organization of religious leaders formed as the Greater Cleveland Congregations (GCC), a multidenominational, coalition of faith communities and organizations in Cuyahoga County. GCC protested the new public funding for the arena. Some 6,000 signatures were necessary to force a public vote on the financing. Protests followed. The County Council president said that the group had produced “the most heavily attended meeting in the council’s six year history.” Further, with the help of union and other civic groups, GCC collected more than 20,000 signatures to force a city-wide vote on the deal. However, to illustrate how difficult it is for even this impressive citizen action to succeed, the Cleveland City Council, backed by Mayor Frank Jackson, refused to accept the 20,000 signatures for verification. The excuse given was that the city had entered into a contract with the county and therefore couldn’t allow the petitions to be accepted, or a vote to be pursued. The issue remains unresolved and presently has been placed before the Ohio Supreme Court for a decision, which is expected in August. This reveals the extent elected public officials will go to in order to comply with the desire of sports team owners. The claim, of course, is that the Quicken Arena expansion will bring business into Cleveland. Ironically, though the taxes are paid primarily by Cleveland and Cuyahoga County citizens, most of the attendees come from beyond their borders in other counties. 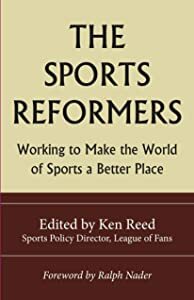 Reed: Another issue related to the public-financing of stadiums and arenas is the obscene sweetheart leases local politicians give pro sports owners, in some cases resulting in all revenue streams from taxpayer-financed stadiums and arenas going to the owners. How can we stop this practice? Bartimole: First, the lease for the Browns stadium is particularly disgusting. The rent for the stadium, built primarily with new or added city taxes, was set at $250,000, never to increase over the 30-year lease. The stadium was built on city-owned land and is forever property tax exempted. Here I need to step back a little to explain how the tax exemption, not abatement, came to be. In 1990, during the campaign for the sin tax to finance Gateway, the proponents ran a full-page ad in the Plain Dealer. It promised “no tax abatement.” Subsequent to its passage Mayor Michael White and County Commissioner Tim Hagan, major proponents of the project, journeyed to Columbus and convinced the state legislature to totally exempt sports facilities from paying property taxes in perpetuity. To show how beneficial this has been to the sports owners, last year I checked the county property records that revealed the three sports facilities escaped $20 million in property taxes in the one year. Now, the ability to force fair leases would require officeholders to withstand the pressure from business, civic and media leaders. The Plain Dealer has supported wholeheartedly all these stadium/arena deals. The news media simply fell in line for total endorsement of these projects. The lack of any real investigation of the true costs, of who pays and who benefits, suggests that any citizens’ action to secure an equitable deal to both sides was futile. There was not even a pretense of fairly covering the financing of these facilities by the media. I think the time is near for citizens to forcefully react against the public costs of financing private businesses, typically owned by extremely wealthy individuals. The subsidies are getting too burdensome. Any real attempt to justify need would be impossible. Reed: Why do you think the traditional media is so reluctant to expose these unsavory stadium/arena blackmail schemes – including the sweetheart lease public money giveaways — especially when they hurt public schools, police and fire departments, etc.? Bartimole: Traditional media — newspapers, TV and radio news — devote an inordinate amount of space and time to sports. Sports are easy to cover, and offer an easy opportunity to share a community spirit with readers and listeners. The media ordinarily cover sports as something almost all readers can understand via the score and how the games are played. Therefore, it offers non-controversial, easily understood content. It provides that home team patriotism that’s hard to question. Further, critical investigations require difficult, time-consuming work. It is easier to just go along. Finally, being critical of the home teams further necessitates often going against city civic, corporate and political leadership and their agendas. Such opposition is seen as negative, not something the media finds easy to do. Indeed, questioning beloved sports interests invites backlash criticism as not being loyal to one’s own. Reed: Do you have any possible solutions to the franchise blackmail games played by members of our pro sports cartels (NFL, MLB, NBA, NHL) in order to get fancy sports palaces paid for by taxpayers? 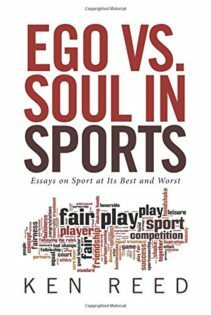 Bartimole: I’d suggest that all the subsidized gifts made to sports entrepreneurs be taxed as income, thereby realizing some payback for the vast amounts of public monies invested for these private enterprises. I see no reason not to view these “gifts” as taxable income. Finally, I would say to citizens: Vote against spending hundreds of millions of dollars and more to build and support the work place of wealthy sports owners and players or don’t cry when your streets are not repaired, when you are asked to pay more for schools, or when you have poor public transit, etc. When you waste public funds on building stadiums and arenas for wealthy pro sports franchise owners, you have decided to cheat yourself and your children of resources you need — from public transportation to the sports and park facilities your children lack. The time is long past for doing some serious civic thinking about resource needs and priorities.